Happy Friday! Time for a little happy hour inspiration or maybe just a new something to sip on this weekend while you relax and unwind from the stresses of the week. A few summers ago, my husband and I had our very first taste of sweet tea vodka. This husband of mine, being the genius that he is, decided to make an Arnold Palmer of sorts and combined this new and delicious liquor with some lemonade. Voila! We had so many of those yummy cocktails that summer as we floated in pools and soaked up the summer sun. Well last week I went to my first moms night out and decided to mix up a pitcher to share with some new friends. But I was thinking even though it may still feel like summer here in Texas, we are all mentally in a fall state of mind. So I added a little spice to the traditional sweet tea + lemonade combo. Here we have the Spiced Arnold Palmer – a bit of lemonade, a bit of vodka, a bit of spiced rum… sounds like a nice and easy transition in to fall! 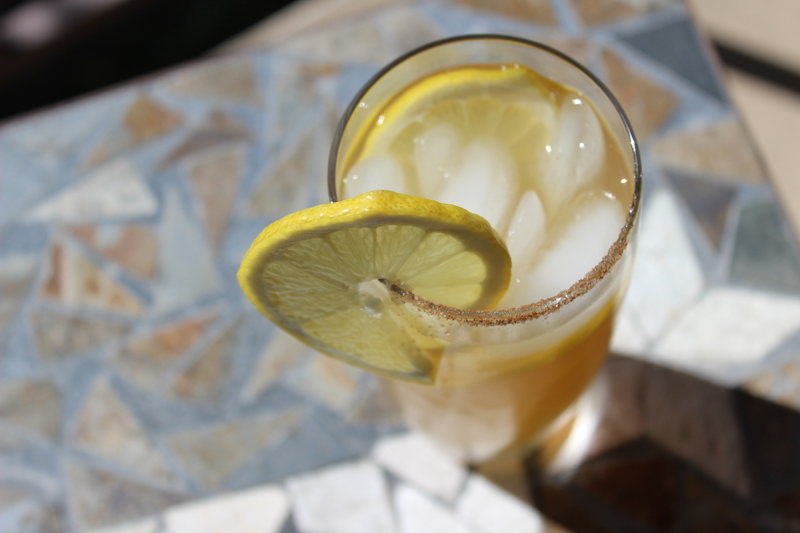 Rub the rim of your glass using one of your lemon slices and dip the rim of the glass into cinnamon sugar. Fill your tall glass half way with ice. 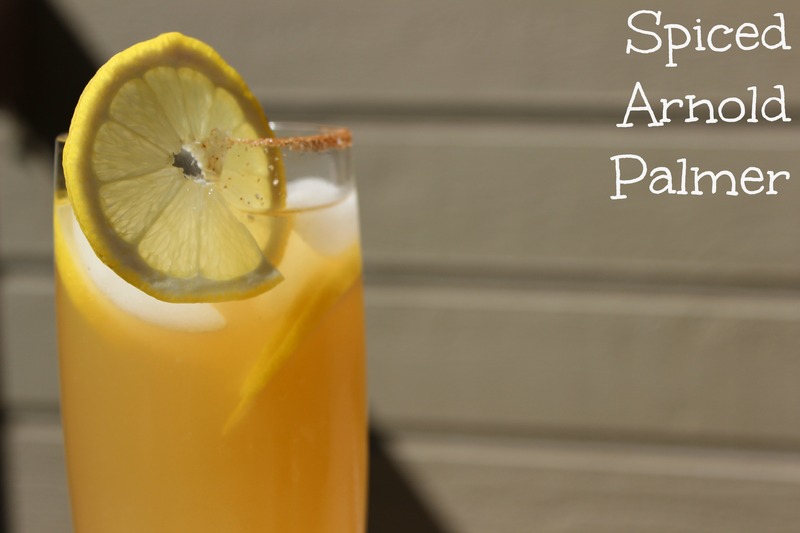 Add your 3-4 parts Simply Lemonade to your glass (about half way), add 1 part sweet tea vodka and 1/2 part spiced rum. Stir your ingredients together. Add a lemon wedge for garnish and enjoy! Have a great weekend and enjoy this transition into cooler temperatures! Those are a favorite mixed drink of mine! Actually the ice tea voldka goes great in lots of things! Perfect for a backyard BBQ! !